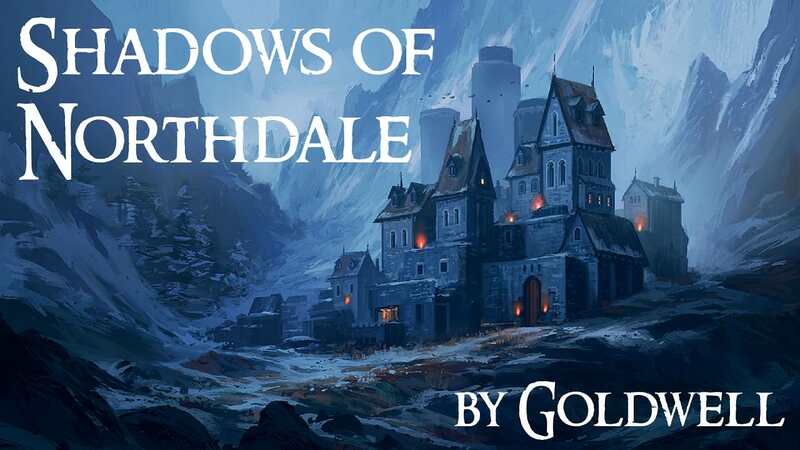 Shadows of Northdale is a new campaign that takes place in a city called Northdale that is situated up in the mountains of the western empire. Across the campaign the player will traverse through the varying districts of the city with each mission featuring it's own unique location as well as different locations in the city hub to access. ACT I is the first mission which is designed to introduce the player to the city hub area and the new mechanics available to them. During the first night in the city hub section there are a couple of places to explore however this will expand and open up further as you progress through the campaign's missions. The mission was designed and tested on 2.05, if you are playing on any other version there may be bugs present. If you enjoyed the mission please feel free to leave a review, I enjoy reading them and it gives me inspiration for my next projects. Tell me what you felt worked and what you felt could be improved for next time. 2.06 UPDATE INFO: If you are experiencing any path finding issues (AI walking around in circles or getting stuck) on 2.06 then please enter the following console command to resolve these issues cm_backFaceCull 0. Thanks goes to Nbohr1more for solving that! Obsttorte for making the majority of the scripts featured in this mission, and for dealing with my constant nagging about issues and bugs, you are awesome! Oh yes! After playing this mission a couple times in beta, I love it. Incredible work Goldwell and I can't wait to play more. Really great additions for the final version, bravo! Looking forward to seeing what Act 2 holds next! How do you enter the apartment of the thiefs guild boss? Where are the clues in John Wiverton's apartment? Great news! I am looking forward to it. I can't find Witherton's home, or the Thieves' Highway. You get to the thieves highway by heading off the balcony in your player home. You have a map which will direct you to your home, and then just look for the door that reads "Corbin"
interesting, I don't remember seeing a female thief walking around the base. 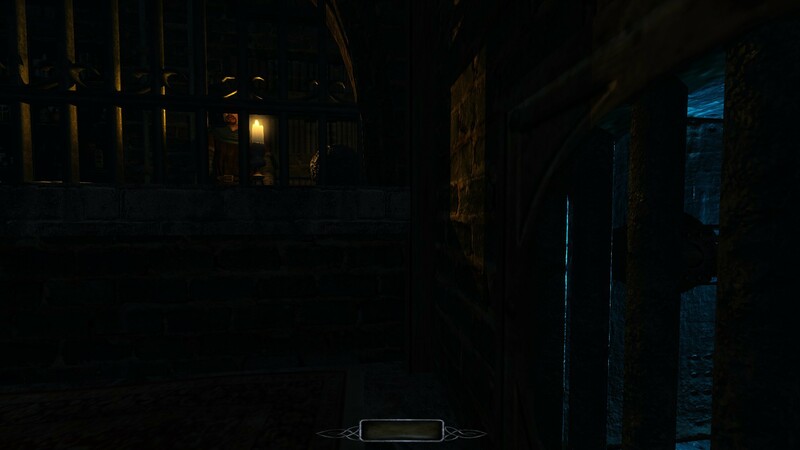 I've scoured the Thieves' Guild, got into the Boss's apartment, but can't check off the "find TG clues" objective. I went to the thieves guild before going to Jordan's place, to the quest trigger for the thief guild boss never happened. Ah ok that makes sense yeah, you can still go and do the other jordan wiverton objective and then come back and she will be in the thieves guild patrolling around (possibly alert depending on where you left anyone's bodies haha). I would never have thought of putting the hood on the bust. Naynay. I wondered why the bust highlighted, yet I couldn't move it. I just played this for about 20 minutes. Holy sh**... the intro, and also the loading screen are already very well done, but the city really looks and feels awesome. I'll surely play this through tonight, and give some further feedback when i have done so. For now, it really looks fantastic. BTW, could just me and my computer, but, it seems this mission is pretty heavy on ressources? There should have been a narration line that plays that says "This statue looks suspuciously bare, perhaps it's missing something, I should check around the base for anything that might go on it"
And yeah this mission is quite demanding, a lot of that seems to be from the layers of fog and all of the lights too. I know there are a few scenes where if you stand just right the drawcall count shoots right up, but I would have to drastically change the aesthetics in some parts to avoid that so I just left it as it is. Also all of the missions that I make are built for computers that are at least high end about 5 years ago. If you have specs less than that you might run into issues. Alright. No problem really, as i must admit that my computer is quite low end by now anyway (it was about mid end 4 years ago or so). Not an issue if it lags a bit with such a slow gameplay as TDM. There was no voiceover related to the bust. It does deactivate if you pickup the hood first, so that's what might have happened. I just started playing it, and there are places where drawcalls are ineed too high for what's being drawn on screen. When you go out of the apartament on the balcony, you get like 4600 DCs, even though you're looking at a plain wall. There should either be portals that would seal this properly, or LOD system for objects. The scene doesn't look complicated, and there are no AIs around, but for some reason it demands a lot from the hardware. Yep, same here. The city hub made a great addition to the mission, reminded me a lot of TDS, some of the architecture, and Corbin's home did as well. The mission layout was just great, with many twists and turns, and then you ended up where you've been before, which is good. I also liked that the mission isn't as linear, and you can go where you want, and do the objectives you like to do first. The mission is also on the easier side, which i liked, as i mentioned elsewhere, i find most missions too difficult. Also, i noticed that, when you enter the shop with the Halloween skeleton, and you go into the actual shop at the bottom level, there's a noise, and the skeleton is gone when you take a look again. And, when you want to go out of the window again, it is locked, and you have to pick the lock, even though it was unlocked when you enter the shop. I have a feeling that that is by design, but, i thought i'd ask anyway. Anyway, excellent mission, and i really had a lot of fun playing it through. Looking forward to the other missions of the campaign. BTW, just wondering, but, what was the build time of this mission? Must have been a lot of work. Edited by chakkman, 24 March 2018 - 03:04 PM.